Our school 'St. 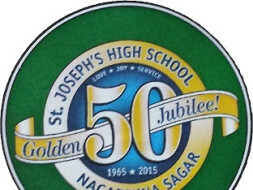 Joseph's High School, Nagarjuna Sagar' is celebrating golden jubilee for which we are lack of funds. Through this, we would like to ask to support our organization this year with a donation to our annual fundraising campaign. Each year, our organization assists individuals in our community and without donation from individuals, this would not be possible. Donations help sustain our organization and benefit the community helping to make a lasting difference to the school’s vulnerable children.